The resources and content on this website have been developed with maximum re-usability in mind. In addition to being openly licensed, the open case studies have been written and published on the UBC Wiki and are then syndicated here. This separation of the "content layer" from the "presentation layer" allows the developers of the case studies to leverage the collaborative aspects of the UBC Wiki with the styling and publishing options of a website. It also allows users to embed the case studies in their own space as well as to easily create pdfs and to potentially download and fork the case studies. Navigate to the case study or other webpage that you would like to embed. 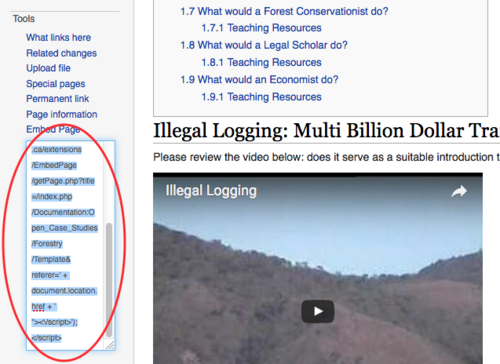 On the left hand sidebar of the UBC Wiki, look for the Tools section and then click on the "Embed Page" link. Paste the embed code into a text editor of the site where you would like to embed the case study. Tip: If you are embedding the Open Case Study into a WordPress site (such as UBC Blogs or UBC CMS) you can use the Wiki Embed plug-in to give you greater options about how the embedded page will be displayed. 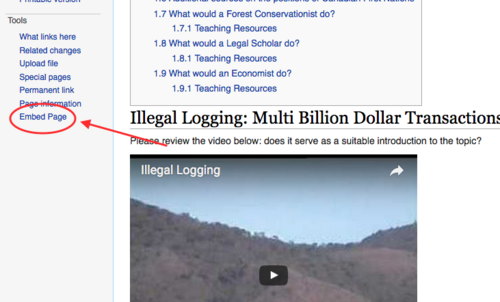 Log into the UBC Wiki using your campus wide login (CWL). 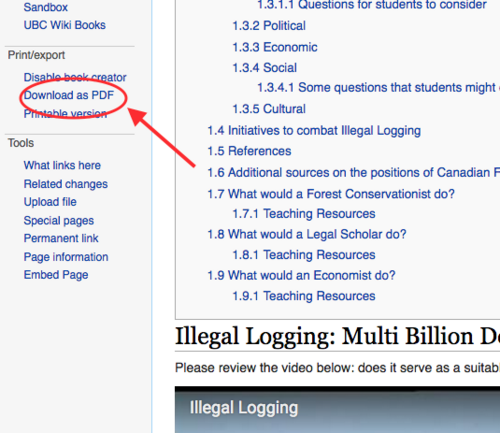 On the left hand sidebar of the UBC Wiki, look for the print/export section. Wait for the PDF to be rendered and download to your computer. Tip: You can combine one or more UBC Wiki pages into a single PDF or EPUB file using the Wiki Book Tool. Users who have a UBC Campus Wide Log-ins (CWL) can edit any page of the UBC Wiki directly. 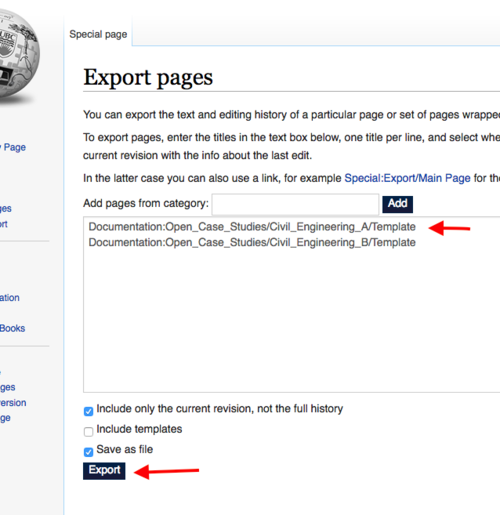 Any user, including those who do not have a UBC CWL, can export the open case study pages from the UBC Wiki into editable file formats in two ways. There is an extension available for the Chrome web browser called "Save Webpage as Word Document." Install the extension, then go to the UBC Wiki page link at the bottom of each case study (see above, under "How to access the wiki content") and use the extension to download a selection of the page or the whole wiki page as a Microsoft Word document that can then be easily edited. Any user can also download the wiki content in xml format. These xml files are editable and can then be imported into any other wiki that runs on MediaWiki. They can also be edited using basic text editors as well as transformed to other formats, such as html (please see this basic guide for transforming xml to html and other formats). Paste the page name into the large open text field. Open the XML file in a text editor to edit. Tip: You can export multiple UBC Wiki pages into a single file by pasting one title per line in the large open text box. You can also add all pages related to the open case study by pasting the category: Category:Open_Case_Studies into the category field and clicking "add". Delete any page titles from the resulting list that you do not want to export.